Tortured in Jordan Instead? - It is unknown what other interrogation techniques may have been used on him. In contradiction to the allegation that bin al-Shibh broke easily by the mere threat of torture, it will later be reported that in late 2002, he was secretly transferred to Jordanian custody for a time so he could be tortured by the Jordanian government (see Late 2002). Ramzi bin al-Shibh. [Source: Uli Deck / Agence France-Presse]Ramzi bin al-Shibh, a key member of al-Qaeda’s Hamburg cell, is allegedly flown to Jordan and tortured there. Bin al-Shibh was arrested in Pakistan on September 11, 2002, and held by US forces (see September 11, 2002). According to a 2008 report by the watchdog group Human Rights Watch, the US takes bin al-Shibh to the Bagram air base in Afghanistan, and then flies him to Jordan. A former detainee in a secret prison run by Jordanian intelligence will later tell Human Rights Watch that he was held in a cell next to bin al-Shibh in late 2002. He says he was able to briefly talk to bin al-Shibh, and bin al-Shibh told him that he had been tortured while in Jordanian custody. He said he had suffered electric shocks, forced nakedness, sleep deprivation, and being made to sit on sticks and bottles in sexually humiliating ways. [Human Rights Watch, 4/8/2008] The Washington Post will similarly report in late 2007, “Although hard evidence is elusive, some former inmates have reported being detained in the same wing as Ramzi Bin al-Shibh… said Abdulkareem al-Shureidah, an Amman lawyer. “He was detained in Jordanian jails, definitely.” [Washington Post, 12/1/2007] Bin al-Shibh will be transferred out of CIA custody into the Guantanamo prison in 2006, but exactly where he was held between 2002 and 2006 remains unclear (see September 2-3, 2006). Detainees have also provided a wealth of information about al-Qaeda plots, including potential attacks on the US consulate in Karachi, a plan to fly planes into Heathrow Airport and Canary Wharf in London, a plot where spikes in track would be loosened in an attempt to derail a train, a plot to blow up some gas stations, a plot to fly planes into the Library Tower in California, and a plot to collapse a suspension bridge by cutting lines. The 9/11 Commission releases a new report on how the 9/11 plot developed. Most of their information appears to come from interrogations of prisoners Khalid Shaikh Mohammed (KSM), the 9/11 mastermind, and Ramzi bin al-Shibh, a key member of the al-Qaeda Hamburg cell. In this account, the idea for the attacks appears to have originated with KSM. In mid-1996, he met bin Laden and al-Qaeda leader Mohammed Atef in Afghanistan. He presented several ideas for attacking the US, including a version of the 9/11 plot using ten planes (presumably an update of Operation Bojinka’s second phase plot (see February-Early May 1995)). Bin Laden does not commit himself. In 1999, bin Laden approves a scaled-back version of the idea, and provides four operatives to carry it out: Nawaf Alhazmi, Khalid Almihdhar, Khallad bin Attash, and Abu Bara al Taizi. Attash and al Taizi drop out when they fail to get US visas. Alhazmi and Almihdhar prove to be incompetent pilots, but the recruitment of Mohamed Atta and the others in the Hamburg al-Qaeda cell solves that problem. Bin Laden wants the attacks to take place between May and July 2001, but the attacks are ultimately delayed until September. [9/11 Commission, 6/16/2004] However, information such as these accounts resulting from prisoner interrogations is seriously doubted by some experts, because it appears they only began cooperating after being coerced or tortured. For instance, it is said that KSM was “waterboarded,” a technique in which his head is pushed under water until he nearly drowns. Information gained under such duress often is unreliable. Additionally, there is a serious risk that the prisoners might try to intentionally deceive. [New York Times, 6/17/2004] For instance, one CIA report of his interrogations is called, “Khalid Shaikh Mohammed’s Threat Reporting—Precious Truths, Surrounded by a Bodyguard of Lies.” [Los Angeles Times, 6/23/2004] The Commission itself expresses worry that KSM could be trying to exaggerate the role of bin Laden in the plot to boost bin Laden’s reputation in the Muslim world. 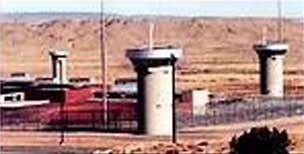 [9/11 Commission, 6/16/2004] Most of what these prisoners have said is uncorroborated from other sources. [New York Times, 6/17/2004] In 2007, it will be alleged that as much as 90 percent of KSM’s interrogation could be inaccurate, and that he has recanted some of his confessions (see August 6, 2007). Abu Zubaida (held in Thailand then Poland). Abd al-Rahim al-Nashiri (held in Poland). Ramzi bin al-Shibh (held in Poland). Khalid Shaikh Mohammed (held in Poland). Khallad bin Attash (held in Poland). 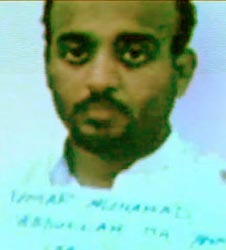 Ahmed Khalfan Ghailani (held in Poland). Hassan Ghul (held in Poland). Abdul Rahim al-Sharqawi (held in Poland). Mohammed Omar Abdul-Rahman (held in Poland). Ibn al-Shaykh al-Libi (held in Pakistan then Poland). 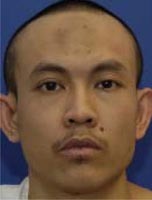 Further, Hambali is a high level prisoner in US custody but he is being held elsewhere. [ABC News, 12/5/2005; ABC News, 12/5/2005] In 2007 Council of Europe, the European human rights monitoring agency, will reveal that the main CIA prison for high-level prisoners was in a Soviet-era military compound at Stare Kjekuty, in northeastern Poland. Lower-level prisoners from Afghanistan and Iraq were held in a military base near the Black Sea in Romania. The governments of Poland and Romania will continue to deny the existence of the prisons even after the US government admits to their existence. [New York Times, 6/8/2007] Eleven of the twelve prisoners mentioned above were subjected to the so-called “enhanced interrogation techniques” called torture by many. In 2006, Bush will announce that the CIA prisons are being emptied and high level prisoners will be transferred to the prison at Guantanamo Bay, Cuba (see September 2-3, 2006). Mohamad Farik Amin. [Source: FBI]The US temporarily closes a network of secret CIA prisons around the world and transfers the most valuable prisoners to the US prison in Guantanamo, Cuba, for eventual military tribunals. The prison network will be reopened a short time later (see Autumn 2006-Late April 2007). There were reportedly fewer than 100 suspects in the CIA prisons; most of them are apparently sent back to their home countries while fourteen are sent to Guantanamo. All fourteen have some connection to al-Qaeda. Seven of them reportedly had some connection to the 9/11 attacks. Here are their names, nationalities, and the allegations against them. Mustafa Ahmed al-Hawsawi (Saudi). He allegedly helped finance the 9/11 attacks. Hambali (Indonesian). He attended a key planning meeting for the 9/11 attacks in Malaysia (see January 5-8, 2000) and is accused of involvement in many other plots, including the 2002 Bali bombings (see October 12, 2002). Khallad bin Attash (a.k.a. Tawfiq bin Attash) (Yemeni). He also attended a key planning meeting for the 9/11 attacks in Malaysia (see January 5-8, 2000) and had a role in other plots such as the 2000 USS Cole bombing (see October 12, 2000). Ali Abdul Aziz Ali (Pakistani, raised in Kuwait). He allegedly helped finance the 9/11 attacks and arranged transportation for some hijackers. His uncle is KSM. Ramzi bin al-Shibh (Yemeni). A member of the Hamburg al-Qaeda cell with Mohamed Atta and other 9/11 hijackers. The CIA calls him the “primary communications intermediary” between the hijackers and KSM. He also attended a key planning meeting for the 9/11 attacks in Malaysia (see January 5-8, 2000). Abd al-Rahim al-Nashiri (Saudi). He is said to have been one of the masterminds of the USS Cole bombing (see October 12, 2000). He also attended a key planning meeting for the 9/11 attacks in Malaysia (see January 5-8, 2000). Abu Zubaida (Palestinian, raised in Saudi Arabia). He is said to be a facilitator who helped make travel arrangements for al-Qaeda operatives. He is also alleged to have organized a series of planned millennium attacks. Ahmed Khalfan Ghailani (Tanzanian). He was indicted for a role in the 1998 African embassy bombings (see 10:35-10:39 a.m., August 7, 1998). He is also said to be an expert document forger. Majid Khan (Pakistani). He lived in the US since 1996 and is said to have worked with KSM on some US bomb plots (see March 5, 2003). Abu Faraj al-Libbi (a.k.a. Mustafa al-‘Uzayti) (Libyan). He allegedly became al-Qaeda’s top operations officer after KSM was captured. Mohamad Farik Amin (a.k.a. Zubair) (Malaysian). He is a key Hambali associate and was allegedly tapped for a suicide mission targeting Los Angeles. Mohammed Nazir Bin Lep (a.k.a. Lillie) (Malaysian). He is a key Hambali associate. He is accused of providing funds for the 2003 bombing of the Marriott hotel in Jakarta, Indonesia (see August 5, 2003). He was allegedly tapped for a suicide mission targeting Los Angeles. Gouled Hassan Dourad (Somali). He allegedly scouted a US military base in Djibouti for a planned terrorist attack.